"In October, 2006, Ute Burkhardt, 37, was killed by a truck while riding her bike. Cycling was one of her passions, and she took great care in being a strong and safe rider. In her honor, we're raising funds to benefit the Florida Bicycle Association 501c3, Florida’s leader in promoting bicycle safety, education and the Share the Road campaign." 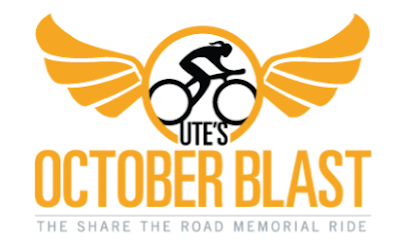 Ute’s October Blast will be 36 and 62 miles along beautiful A1A originating at Downtown Bicycles, 2533 East Sunrise Boulevard in Fort Lauderdale. Riders in the 36-mile ride will proceed north on A1A to the first rest stop at Spanish River Park in Boca Raton. There cyclists can utilize the stocked rest stop before returning south on A1A back to Downtown Bicycles in Ft. Lauderdale. For those riders wanting to do the metric century (62 miles) they can proceed further north to the next rest stop in Ocean Inlet Park in Boynton Beach. Then all riders will return south on A1A to Downtown Bicycles to enjoy a post-ride lunch, music and a complimentary massage!! check out my blog - regarding retro reflective to help make bike riders safer at night and in the dark.